Clients | Chartwell Agency - Our best advertisement! 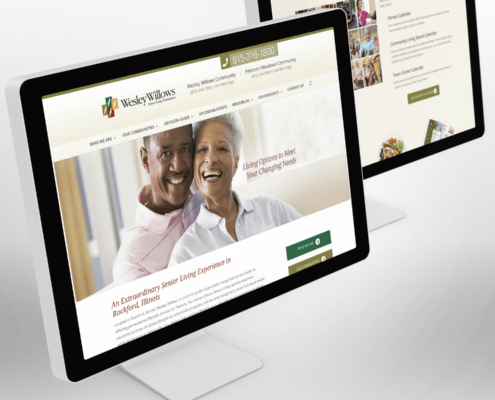 Chartwell Agency has been a partner for Wesley Willows, a Senior Living community with a full continuum of Senior housing and Senior health care services, since 2016. 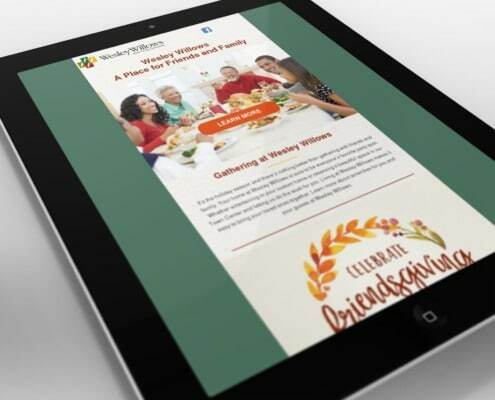 Our firm was first contacted to help the organization with a strategic planning session and new website and has since worked with Wesley Willows on a number of projects including direct mail, annual reports, marketing collateral and a digital marketing strategy. Our firm has helped this client with a consistent brand that accurately represents the strength, quality and unique differentiators of Wesley Willows.